Over the summer I joined the Teachers Teaching Teachers podcast with Paul Allison. It was an incredible experience to be a part of this very diverse group of folks. I can’t say teachers because we had the benefit and privilege of two students joining us. One, a ninth grader, was about to become the most connected student in her county. Out of need, she is being given a loaded laptop that will allow her to be a seamless part of the classroom. Her goal in life is to be a writer. Good for her. Her district seems to be doing what needs to be done to help her in every way possible. I can’t wait for her to start honing her skills on her own blog. The other student, an eighteen year old from Australia, was not shy in the least bit. She was asked hard questions about what teachers need to do to engage students with new tools. She fired back answers that made us pause and reflect about our own actions in our instruction and how they alter the learning environment. While she says her teacher, Jason Hando , is the best, she discussed how it was not an across the board feeling in all of her classes. Then she asked what it would take to teach teachers how to be more in tune with technology and integrating skills. Ouch. Can anyone say, PD Bingo? Overall, the six of us that joined together for the podcast in Chico, CA, were very impressed with the student input. The chat room, as usual, provided some great questions and running commentary about the conversation. It bounces me back to the reflections from Karl Fisch and others about NECC: Where are the students at these events? Bravo to Paul and the TTT folks for including them in the webcast. We should all strive to include these most important voices in our tech planning. Thanks to Cool Cat Teacher for this link. Frequency of violence in student writings can be a sign that a student may be troubled, though the guidelines, which have not been approved by the university, caution that violent behavior cannot be predicted by writing alone. The document encourages professors to follow their instincts and take a measured and conservative approach to dealing with disturbing writing. The document suggests faculty concerned about a student’s writing follow a series of steps: speaking to the student, encouraging the student to seek counseling and involving university administrators. So what do you think as writing teachers? Do we sacrifice writing freedom for safety? Or do we “follow … instincts?” Is there some happy middle ground? Are we all too worried about an isolated incident? I am looking for teachers to add to a Math Trail wiki for kindergarten students. Each month a new problem will be posted that can be investigated in your school, playground, or surrounding neighborhood. Teachers will lead the investigation with their students and add their data to the wiki. At the end of the month teachers can go to the wiki with their students to make comparisons and conclusions about the problem of the month. Email me with your questions or ideas for future investigations. She already has the first math problem posted. Expect more great things to show up on this wiki! Lee Lefever and the folks at Common Craft Blog have added yet another (insert term here) in Plain English video to the series. 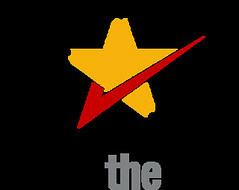 This time they take on social bookmarking. Social bookmarking is the placing of your favorites online in an easy to organize method where you can even share them with others. I use Del.icio.us for my own browsers. Social Bookmarking in Plain English shows you how to use Del.icio.us to tackle your favorites so they are easy to sort through, share with others, and even access from any internet connection. These are great tools to share with students that do any type of research, so do not think it is just for you. My middle school students loved using it for collaborating on Model United Nations research. For those of you in the lower grades (and maybe some ESL), here is a site from Adrian Bruce. He has posters for phonics. These would make great printouts for the walls around your class. I am sure you creative types can find even better uses for them. Enjoy! Literacy Project to Start the Year? The one I am most excited about begins registration in just about 2 weeks. 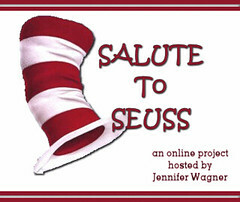 “SALUTE TO SEUSS“!! It will involve a WIKi and also several other Web 2.0 tools. Teachers will be encouraged to make a class project about the book they choose to showcase. It can be a blog, a wiki, a slideshare, a photoshare, or more!! We did the same with Charlotte’s Web in the Fall and it was great to see how creative classes can be. Take this time to consider this unique project. It is very versatile and works for grades K-6. Visit her blog post about this and leave her questions. She is always more than happy to answer them. Good luck! Thank you for joining me here. This is going to become my brain dumping grounds for the education world I live in. As I go, I expect to have some guest authors to give things a little twist. I will write about technology tools, literacy, information literacy, preparing our students for life after high school, my experiences with the political world as it pertains to education, professional development, conferences I attend or present at (or wish I could attend), my interactions with other edubloggers, venting, ….. and I will even throw in some of the photos I take as I learn to use a nice digital camera. I hope you find what I have to share useful and challenging in many ways. Disagree with what I have to say? Start the conversation in the comment section. Agree with it? Same thing. I cannot learn from your ideas if you do not share them. Will you join me?